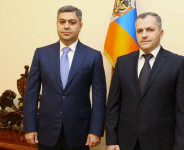 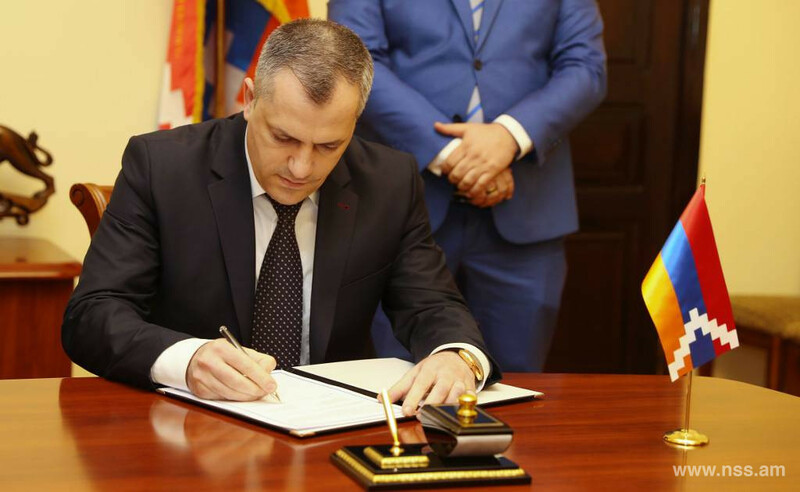 On 6-7 April the delegation of the National Security Service of the Republic of Armenia headed by Director Artur Vanetsyan paid a two-day visit to the Republic of Artsakh. 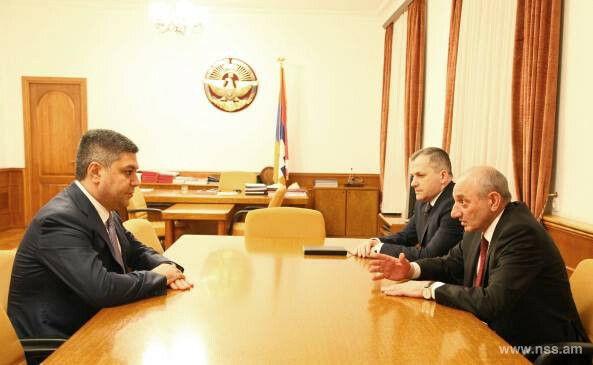 Within the framework of the visit, Director of the NSS met with President of the Republic of Artsakh Bako Sahakyan. 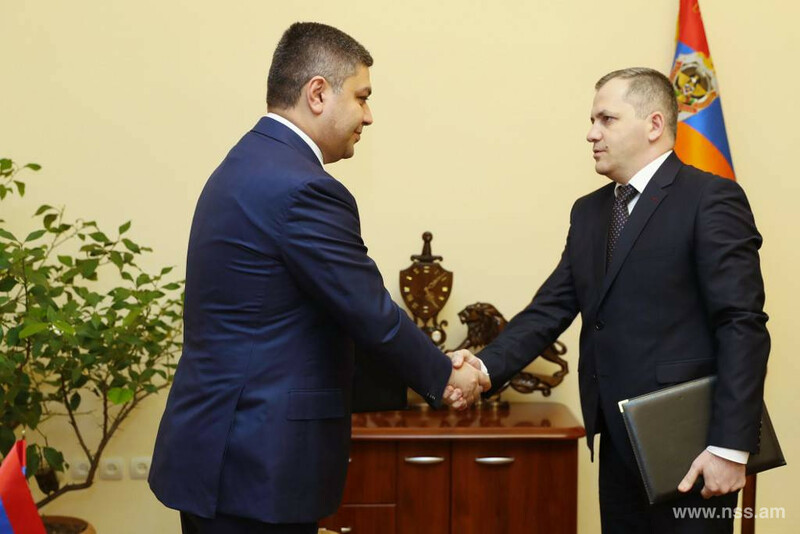 Issues related to the security services of Armenia and Artsakh were discussed, subsequent actions were identified. 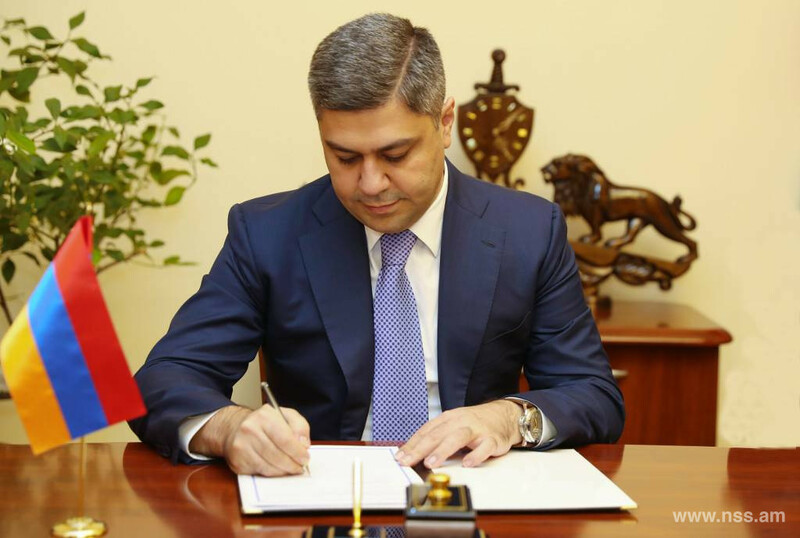 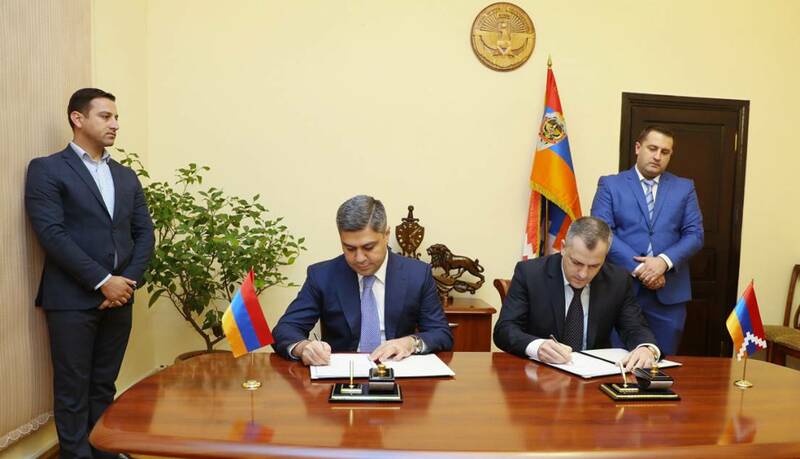 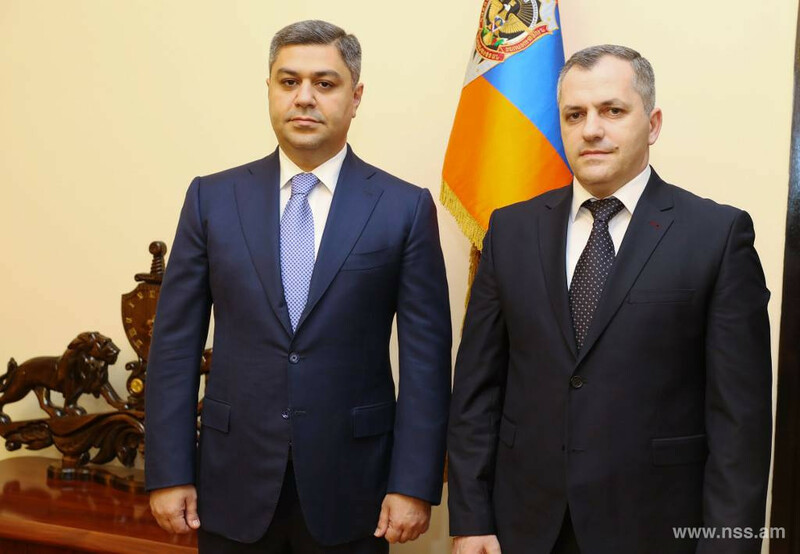 Director of the NSS of RA A. Vanetsyan met as well with Director of the NSS of the Republic of Artsakh Samvel Shahramanyan, and an agreement on cooperation and collaboration between the national security services of the two Armenian States was concluded. 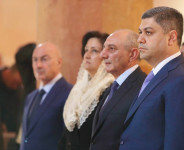 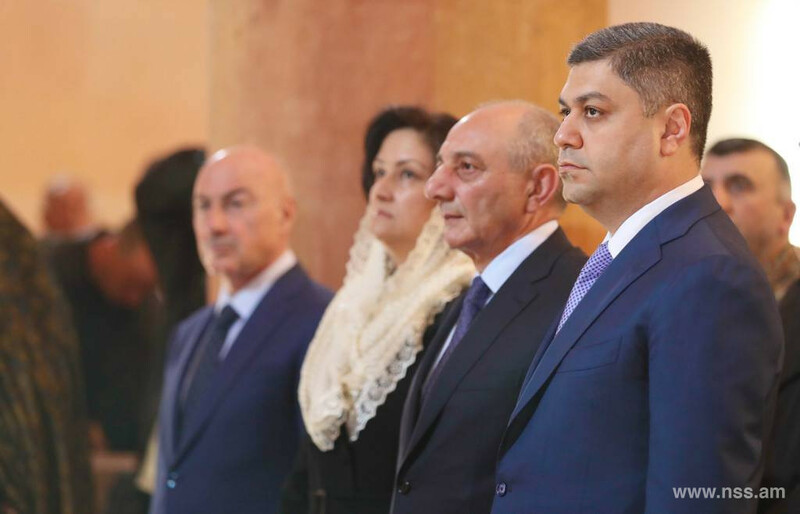 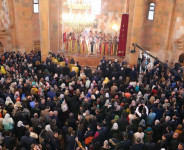 Within the framework of the visit, the delegation headed by Director of the NSS of RA Artur Vanetsyan participated in the ceremony of the consecration and opening of the Cathedral of the Intercession of Our Lady in Stepanakert. 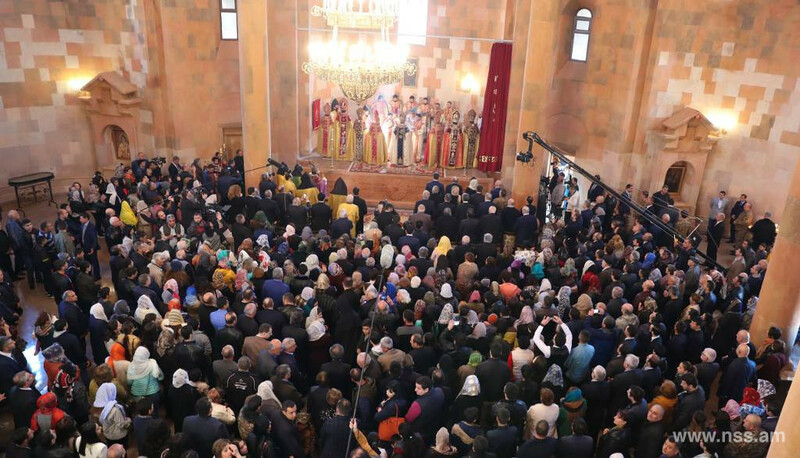 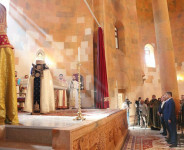 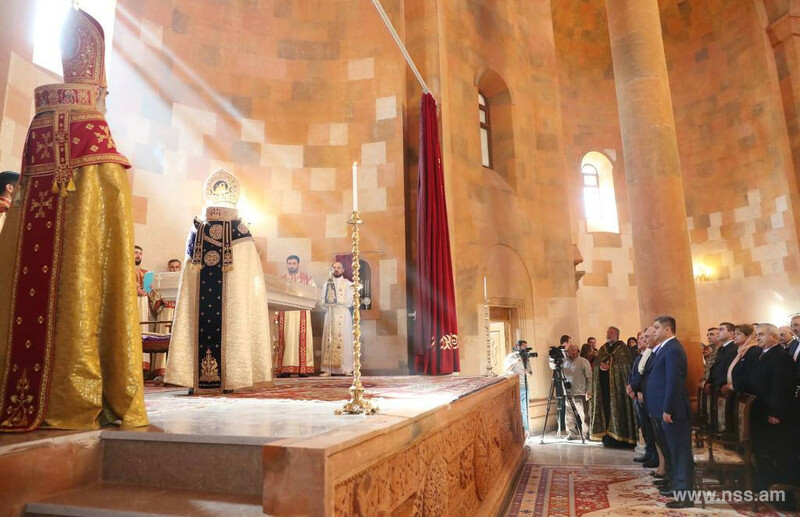 The ceremony of the consecration of the Cathedral of the Intercession of Our Lady was performed by His Holiness Karekin II, Supreme Patriarch and Catholicos of All Armenians, after which His Holiness celebrated the first liturgy.